Cryopreservation is really handy in many different situations, such as wanting to preserve some of your eggs or sperm before undergoing cancer treatment or when you have more than one or two really good-quality embryos after a stimulated IVF cycle. Although different methods are used for freezing gametes and embryos, after they're frozen they're stored in tanks of liquid nitrogen at a temperature of -196 degrees Centigrade. Material frozen at such a low temperature has no bioactivity, meaning that it can be frozen indefinitely without 'going off'. ^ As a back-up during IVF treatment: When you undergo IVF treatment, you're asked to produce sperm 'on demand', which can be pretty nerve-racking. If you suffer from performance anxiety, you may be reassured by having some back-up frozen sperm, in case you can't produce the sperm sample when it's needed. ^ Before having a vasectomy: Men who have a vasectomy clearly aren't planning to have more children. But because life circumstances change, sometimes in the most unexpected ways, and since vasectomy reversals aren't always successful, you may want to keep your options open by putting away some sperm before you have the 'snip'. ^ After undergoing testicular biopsy: If you have very severe male factor infertility, sperm or small pieces of testicle can be removed surgically from your testicles and with the ICSI procedure your partner's eggs can be fertilised with your sperm (see Chapter 5). Any sperm or testicular tissue left over after ICSI can be frozen in case you need ICSI again. ^ Before starting cancer treatment: Some types of cancer treatment, such as radiation and chemotherapy, can cause loss of fertility. So, if you need to undergo such treatment and think you may want to have children in the future, you can freeze some of your sperm before treatment. The technique for freezing sperm has been around for a long time, and insemination with frozen and thawed donor sperm has been offered to couples with male factor infertility since the 1950s. Sperm freezing is simple in most cases: A special solution is added to the sperm to protect it from freeze damage and then small amounts of sperm are placed in vials, which are labelled and frozen, before being stored in tanks of liquid nitrogen. Thawing sperm is a simple procedure, and sperm usually survive the freezing and thawing processes very well. 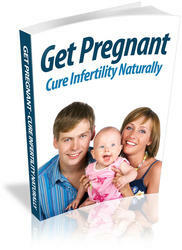 Your doctor uses the thawed sperm either to inseminate your partner or for an IVF or ICSI procedure (see Chapter 5), depending on the cause of your fertility problem. i Medical: If you're diagnosed with cancer during your reproductive years you may be informed that the treatment will likely damage your ovaries and render you sterile. Such news is devastating for women who hope to become mothers one day. Depending on the type of cancer you have, egg freezing may be an option that provides you with a chance to have a baby in the future. i Moral: You may oppose embryo freezing on religious grounds, in which case egg freezing can be an alternative. i Social: As women age, the number and quality of their eggs decline. If you're young and don't yet have a partner or don't want to have children until you're older, you may opt to freeze your eggs in the hope that they can be used to help you have a baby when you're ready. Although freezing sperm is a relatively simple process, freezing eggs is much more difficult. One of the problems with freezing eggs is that the egg is the largest cell in the body and therefore has a high water content, meaning that when an egg is frozen, damaging ice crystals form in the egg. As a result, the success rate for freezing eggs is relatively low. The first freezing protocols offered about a 1 per cent chance of a live birth, although scientists have worked hard since then to improve freezing techniques. One US clinic now quotes a 50 per cent chance of having a baby if you're under 35 years of age and have 12 eggs frozen. Egg freezing is sometimes advertised as 'fertility preservation', which sounds like you can just put your fertility on hold and use it later. This terminology is rather deceptive, because egg freezing offers only a limited chance of having a baby. If freezing your eggs is the only option you have of having a baby, it's certainly worth a go. However, if you want to have children and have a choice about when to have them, go for it while you're young: don't rely on using frozen eggs when you're older. 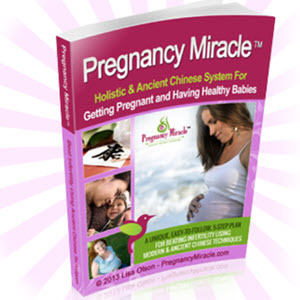 To freeze your eggs, you first have to go through hormone stimulation and the egg collection procedure (see Chapter 5). Obviously, the more eggs you produce, the greater your chances of at least one surviving the freezing and thawing processes and having all it takes to fertilise and develop into a healthy baby. The fast freezing method (called vitrification) that has proven successful with embryos (see Chapter 7) has also proven useful for freezing eggs and ovarian tissue, and is increasingly being used by clinics that offer egg freezing. When you're ready the embryologist thaws your eggs and inseminates those that survive (see Chapter 7). A few days later one or two healthy looking embryos are transferred — the rest is up to Mother Nature. If you have more embryos that look suitable for freezing (refer to Chapter 7 for what these embryos should look like), they can be frozen for later use. Scientists are working to improve women's chances of conceiving using frozen eggs. One promising development involves freezing thin slices of ovarian tissue instead of mature eggs. When the woman is ready to have a baby, the ovarian tissue is transplanted back to her in the hope that it still has the capacity to grow follicles and develop eggs. Embryo freezing is an important part of every IVF program: About 30 per cent of all IVF births result from frozen embryos. The option to freeze embryos is mainly used by couples who have more than one or two healthy looking embryos after a stimulated cycle, but it's also used as an alternative to egg freezing. The chances of having a baby are much greater with frozen embryos than with frozen eggs, so women with a partner who're about to undergo cancer treatment are better off freezing embryos rather than eggs. I describe embryo freezing techniques in Chapter 7, and in Chapter 8 I explain how your chances of having a baby can increase if you have frozen embryos. The main risk with freezing is that the gametes or embryos become damaged in the freezing and thawing processes and so can't develop further. Generally, the not-so-perfect material runs the greatest risk of being damaged: The better the quality of the material when it's frozen, the better its chances of surviving unharmed as it's frozen and thawed. Spending time in freezing conditions as an egg, sperm or an embryo doesn't seem to have any effect on babies born as a result of frozen gametes and embryos. Hundreds of thousands of babies have been born as a result of frozen sperm or embryos and they show no signs of being different from other babies. It's still early days for egg freezing, but so far there's no cause for concern about the health of babies born as a result of frozen eggs either.